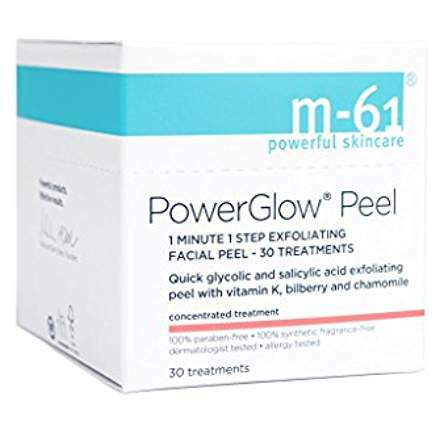 This M-61 PowerGlow Peel is fast-acting and loaded with glycolic and salicylic acid to exfoliate your complexion. It helps reduce pore size and reduces the appearance of fine lines and improve’syour skin’s tone, texture and clarity. In addition, there is Vitamin K, bilberry and chamomile in M-61. Vitamin K helps to reduce the appearance of spider veins and combats dry, rosacea-like patches.Antioxidant bilberry extract helps promote an even skin tone while chamomile and lavender assist in soothing and calming the skin. When I used this,, I didn’t peel like a snake like I thought I would. It was very gentle on my skin after a mild stinging sensation after the first three uses. All you need to do is apply a pre-soaked towlette to clean and dry skin. Gently smooth over your face and neck while avoiding your eye area. Do not rinse off. Begin by using it three times per week, and build it up to using it daily. This is a simple way to keep your skin nice and clear. 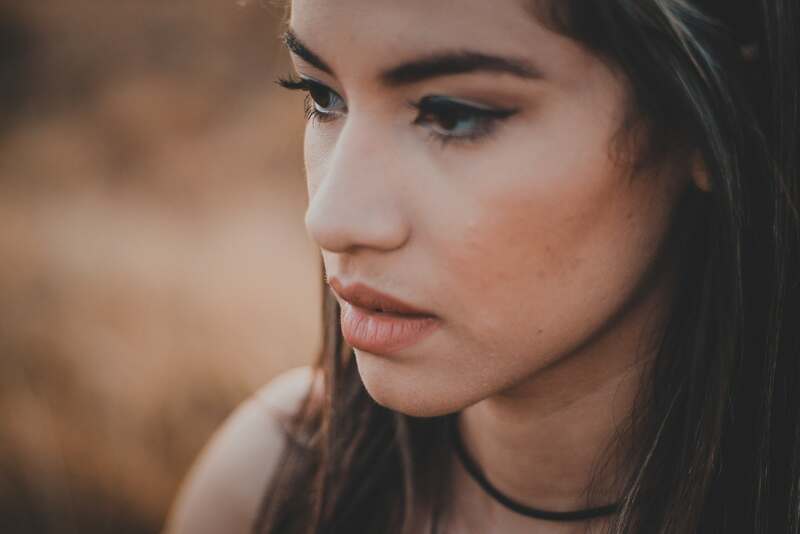 Try the M-61 PowerGlow Peel today for a beautiful, brighter complexion. This looks so interesting! Do you have any before and after pics Connie? No before and after pics on this one, its very subtle.